22 Mar, 2019 | filed under News. 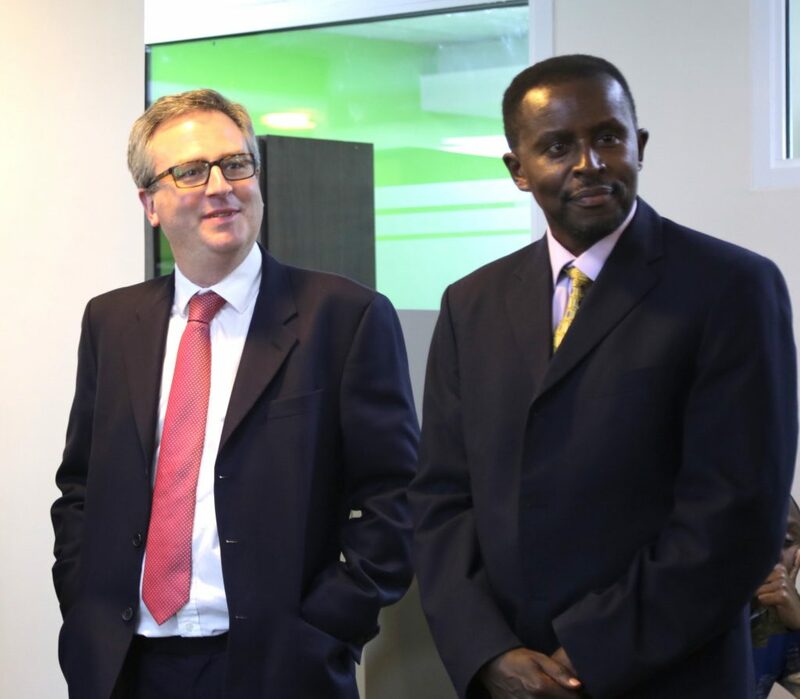 Speaking during a courtesy call at KMT Headquarters at 14 Riverside, Mr. Hailey praised the staff for their dedication and hard work, pointing out that the organization staff had portrayed Commitment in their daily activities. “We are very proud of the work you are doing and this will go a long way to improve the life of each and every farmer you interact with,” he added. He cited that the work that KMT does is close to his heart. Mr Hailey narrated how he had visited the Lodwar office in 2016 and had very insightful conversations with the staff who were present then. The commissioner had paid a courtesy call to check on the welfare of KMT staff after the Dusit attack in January in which 21 people lost their lives. Mr. Hailey hailed the company for its swift response during the attack and for ensuring that the staff received post terror attack counseling. 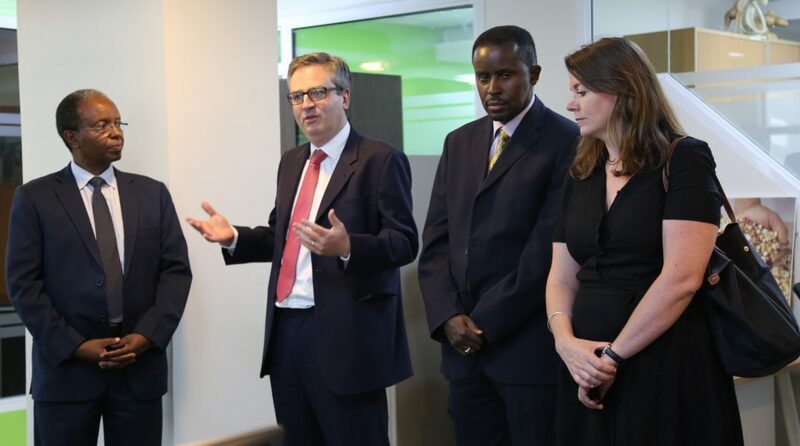 He was accompanied by the acting head of DFID Kenya Ms. Sarah Montgomery, who expressed her gratitude for the aftercare that the KMT staff had received after their attack. KMT, which seeks to build bridges between public and private entities, is funded by the UK government and Gatsby Trust.